All lanes of I-75 southbound at Griffin Road will be closed from 11 p.m. Wednesday, August 10 to5 a.m. Thursday, August 11. 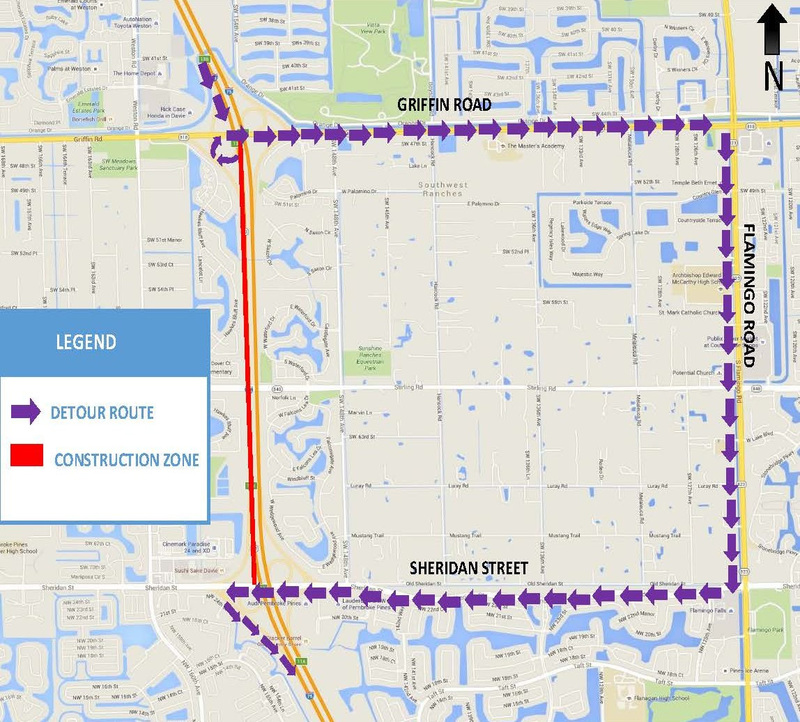 Motorists will be detoured to exit at Griffin Road East (Exit 13A) and go east to Flamingo Road, south on Flamingo Road to Sheridan Street and west on Sheridan Street to re-enter I-75 southbound. Please follow the posted detour. If necessary to complete the work, these lane closures will also take place from 11 p.m. Thursday, August 11 to 5 a.m. Friday, August 12. This entry was posted in News on August 9, 2016 by Realty Services Florida. All lanes of I-75 northbound at Sheridan Street will be closed from 11 p.m. Tuesday, August 2 to 5 a.m. Wednesday, August 3 and from 11 p.m. Wednesday, August 3 to 5 a.m. Thursday, August 4. 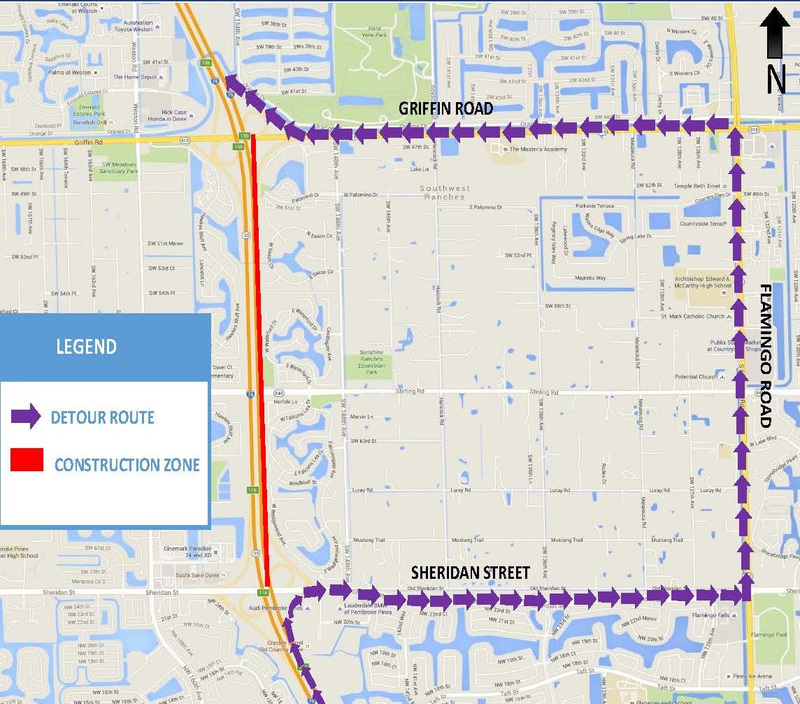 Motorists will be detoured to exit at Sheridan Street East (Exit 11A) and go east to Flamingo Road, north on Flamingo Road to Griffin Road and west on Griffin Road to re-enter I-75 northbound. Please follow the posted detour. If necessary to complete the work, these lane closures will also take place from 11 p.m. Thursday, August 4 to 5 a.m. Friday, August 5. This entry was posted in News on August 1, 2016 by Realty Services Florida.